One of the biggest errors I come across when reviewing music databases is the number of clocks people use. I’ve seen as many as 600 with almost all of them active in dozens of different grids! My advice has always been to challenge yourself to think around what is probably the easiest solution at times – “just make another clock” – and instead choose this as the very LAST option available. Allow me to explain why. One of the hallmarks of any successful station is the consistency they maintain from hour to hour, day to day, month to month, etc. Consistency in music starts and stops with your clocks. When I’m building databases I’ll start by creating an ‘ideal’ clock for an hour that is more music-intensive. Usually a midday hour works best for this. I’ve mentioned in the past that clock creation is where you take the science of such things as category structure and size, library coding, compliance issues, etc. and then combine them in a manner that comes as close to ‘art’ as you will get while working with music schedulers. The sound of your station and its acceptance by the listener is not only predicated on the specific songs you play, but the order in which they are presented. Obviously, then, clock construction is no small matter and thought is required to ensure the sound of your station is optimal. In other words – you can’t just throw it together! Once your initial clock has be built, copying it and making slight changes to the category placement while maintaining the exact category loading will then allow for a second clock to be ‘ping-ponged’ with the first one, which will help solve the problem of consistency becoming predictability. I’ve had feedback over the years from PD’s and MD’s that take this even further and have 3 and sometimes 4 clocks per hour. If you can do this and still keep the clock ‘solid’ (i.e. providing a ‘solid’ representation of your music position every 15 to 20 minutes), while avoiding ‘clumping’ of such things as eras, styles, and compliance selections, then by all means do so, but remember that the goal is to keep the number of clocks at a minimum. My advice is if you have any doubt whatsoever that your third clock isn’t as polished as your first or second, then scrap it and move on. You now have a template from which to base the remaining hours on. Removing or adding certain categories per daypart gives you the required number of selections per hour, but still keeps your consistency over the course of the day. It should already seem pretty obvious that employing an inordinate number of clocks will invariably lessen a station’s consistency. If you employ hundreds of clocks then I would argue that without even seeing your database you have no consistency. Every copied and tinkered clock takes you one more step away from all the hard work you may have done creating your first one. Legendary programmer, J. Robert Wood, once told me that even a single change to a clock can alter an entire hour. I believed him then and I believe him to this day. And for those that feel ‘variety’ is stifled by too few clocks, my answer is simple – forget about variety. Decades of ratings and research have shown conclusively that when a station goes beyond just talking about variety and actually tries to incorporate it in their music positioning, with few exceptions the results are negative. Even in the Adult Hits format that has arguably more real variety than most other formats, the actual variety of selections is far less than their positioning statements portray. Remember that the word ‘variety’ will always illicit a positive response from a listener, but it’s actually familiarity and consistency that brings in the numbers. There will come a time when changes will have to be made to your clocks. A perfect example is now upon us. In formats where new music is a key ingredient it’s around this time in each decade where a critical mass of songs now exists to consider being incorporated as a single gold category. A new category means either significant or possibly even wholesale clock modification. Some music schedulers are better than others at making mass changes in clocks. It is true that with certain programs, a category change can be made in seconds, but even in those cases having excessive clocks will still result in the aforementioned lack of consistency. For the programs that don’t process mass changes well or at all, trust me when I say reaching the two hour mark while altering each clock manually makes you wonder if it wouldn’t be better to just wipe your hard drive completely. A happy, healthy database contains what it needs to function at its best – nothing more, nothing less. Having a bunch of clocks lying around even if they aren’t active can bog down certain programs and cause the user to run the internal diagnostic function more often than streamlined databases. A solution to this would be to either delete the old clocks outright, or create a ‘Hold’ database where the inactive clocks can be transferred for safekeeping and/or posterity. It should be added that Hold databases are also effective repositories for inactive songs that can also slow down a scheduler if in abundance. Now that we have a few reasons why you should have fewer clocks, let’s look at some ways how this can be accomplished. In my travels I’ve found this to be far and away the number one reason stations amass a glut of clocks. It doesn’t have to be, though. Most of the major control room software platforms have ways that incorporate voice tracking in lieu of specific clocks. The use of ‘wild cards’ in place of direct cart calls means that a single clock can work for an entire week, instead of making a different one for each day. There is also a work around for older playback systems that drastically cuts down on the number of clocks required. First, determine the maximum number of voice track positions needed in an hour. For our sake we will use 8. Create 8 different VT categories (e.g. VT- 1, VT-2, VT-3, etc.). Place these categories in your clocks where your direct cart calls existed. You may have a jock-voiced top hour intro. Make this VT-1. You may have an announcer intro somewhere in your first sweep. Make this VT-2. Your first stopdown in the hour would then be VT-3. Complete the remainder of the hour until all your VT categories have been inserted. It should be noted that not all VT categories need be incorporated in every hour. For instance, you may only want a jock intro in the first sweep every second hour. If so, just omit VT-2, but leave the first stopdown as VT-3. This will allow you to populate each VT category with voice tracks of specific use and thus equal timing approximation. The next step is to build the categories. Say you are voice tracked for 6 hours a day. In VT-1 you would create 6 carts labeled in a way that shows the hour in which they will be used. The same goes for the other VT categories and should a VT position not be used in all hours, fewer carts will be needed in that particular category. Once you have completed that, you will have to create and assign dayparts that are open only to the hour in which the voice track will appear. In your rules, make sure the VT categories are wide open except for Daypart Restriction as an unbreakable rule and the carts will appear exactly where you need them to. The last step would be to create a Voice Track Grid for the airstaff that shows what cart number is needed at what position in each tracked hour. Now, I accept that a fair amount of work is required for this to function properly, but consider this a ‘do-once’ task that when completed need not be worried about again and the reduction in clocks will make it a worthwhile exercise. The same approach can be used for certain daily features, recorded newscasts, et al. By making your clocks more pliable to hourly programming specifics, the opportunity to use the same clock in multiple hours ensures more consistency over the day. By using these techniques I have reduced clock counts in databases to a fraction of what they originally were. Again, it goes back to challenging yourself to think around what might appear as a roadblock in your effort to streamline the number of clocks you use. With a little ingenuity you may find that most schedulers offer not one, but multiple ways to solve your problem. Just keep telling yourself that the LAST thing you want to do is make another clock. An article simply can’t allow for all the varied ways to accomplish clock reduction, so if you are stuck feel free to drop me a line (905-332-1331) or shoot me an email (greg@byrnesmedia.com) and I’ll be happy to see if I can help. It may come to pass that a new clock will be needed, but together we can find a solution. “Worldwide Food Service Safety Month”: People working with food need to buy, store, prepare and keep prepared foods properly. For info, call Harold LeBouf at 508-243-3842 or email info@SweetandSavoryFoodConcessions.com. Dec 1 “World AIDS Day”: The UN declared this day as an international day of awareness and education about AIDS. See www.cdnaids.ca. Dec 2 “Cyber Monday”: Traditional beginning of the online Christmas shopping season. Dec 3 “International Day of Persons with Disabilities”: Annual observance to promote the continuation of integrating the disabled into general society. See www.un.org/disabilities. Dec 14 “International Shareware Day”: A day to take the time to reward the efforts of thousands of computer programmers who trust that if we try their programs and like them, we will pay for them. Dec 20 “Underdog Day”: To salute all the underdogs and unsung heroes – the number two people who contributed so much to the number one person [Sherlock Holmes’ Dr Watson, Robinson Crusoe’s Friday]. Have listeners salute their favourite underdogs. Dec 21 “First Day of Winter”: It officially starts at 12:11pm, EST. It’s also the shortest day of the year in the Northern hemisphere. In the Southern hemisphere this marks the first day of Summer. Dec 24 “Christmas Eve”: Family gift-giving occasion in many Christian countries. Dec 31 “No Interruptions Day”: A day for quiet and or focus. A day to renew our energies to prepare ourselves for the new calendar year ahead. Call Sylvia Henderson 301-260-1538. email sylvia@springboardtraining.com. See www.springboardtraining.com. Dec 31 “First Night”: Many Canadian cities celebrate this night with activities including Banff, DraytonValley, Edmonton, Red Deer, Kamloops, Whistler, Yellowknife, Chatham-Kent, Hamilton, Kingston, Peterborough and Toronto. 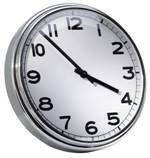 Dec 31 “Universal Hour of Peace”: Begins at 11:30PM on December 31, 2013 and ends at 12:30am on January 1, 2014. An hour dedicated to creating peace throughout our planet. To add your name to the “Millions for Peace” list, email your name, city, state/country to peace@som.org. See www.peacedome.org.